Verbal irony is an excellent tool of the writing trade. It allows readers to exercise a little bit of perception and omniscience. This type of irony occurs when a speaker says one thing but means another. Many people consider verbal irony to be akin to sarcasm. For example, after a hard day at work, we might say the day was, "Really, really spectacular." (Spectacular being in air quotes.) While you might file that under sarcasm, it's actually more of an instance of verbal irony. What's the difference? Verbal irony occurs when people say one thing but mean another. Sarcasm, however, connotes a little bit of a mean twist or a derogatory statement. In their purest form, that's a good way to distinguish the two whenever you're uncertain. With that out of the way, let's dive a little deeper into these mirrored waters with a wealth of examples of verbal irony. Verbal irony is used in a variety of circumstances. We may stumble upon it in general conversation, the media, and, of course, literature. Television sitcoms and movies love to keep us on our toes with verbal irony. Are a thousand Friends episodes reeling through your mind right now? Verbal irony often brings levity to a situation, exposes double entendres, or pokes fun at a situation. Sometimes, it's intended to highlight a certain situation that the writer knows is going to carry weight in future scenes. Other times, it's a plain and simple deployment of humor. If someone got in a fender bender and said, "Guess today's my lucky day…"
In Beauty and the Beast, Belle tells Gaston, "I just don't deserve you!" when, in reality, Gaston doesn't deserve Belle. In Shrek, Donkey asks Shrek if he can stay with him. Shrek replies, "Of course," when he really means, "No, not really." Stanley Kubrick threw in a little verbal irony in Dr. Strangelove when this line made it into the script: "Gentlemen! You can't fight in here! This is the war room!" In J. K. Rowling's Harry Potter and the Order of the Phoenix, Harry says, "Yeah, Quirrell was a great teacher. There was just that minor drawback of him having Lord Voldemort sticking out of the back of his head!" In Lemony Snicket: The Unauthorized Biography, Snicket offers up a great use of verbal irony, "Today was a very cold and bitter day, as cold and bitter as a cup of hot chocolate." You don't have to be a world-class playwright or author to engage in a little bit of verbal irony. Let's take a look at a few more examples of verbal irony that could play out in everyday life. Someone shopping for a mattress lays down on a really firm one and says, "This bed's about as soft as a brick." When the air conditioning goes out on a hot summer afternoon, a tenant says to their landlord, "It's about as cool as the fires of Hell." After a terrible blind date, a woman calls her friend and says, "He was as friendly as a rattlesnake." A sister walks into her brother's messy apartment and says, "I see you're still the king of clean!" A mother tells her son she enjoyed watching that horror movie "about as much as a root canal." A food critic tells the chef, "Your steak was as tender as a leather boot." A woman spills her morning coffee on her white silk blouse and says, "This day couldn't be off to a better start." A team of co-workers is about to begin a major project when someone asks if they can have a five-minute break. The team leader responds with, "Sure! It's not like we have anything better to do." A woman chips her nail and cries out in horror. Her boyfriend says, "Oh no! It's the end of the world as we know it!" The candidate that nobody likes gets elected mayor. A couple of citizens are overheard saying, "Gee. I was really hoping he'd win." A boyfriend plans to propose to his girlfriend on the night she cancels on him to stay home and binge watch Grey's Anatomy. He replies, "Sure. It's not like I had anything special planned." Isn't it fun? You have to be really engaged in the conversation, or the situation as a whole, to pick up on verbal irony. And verbal irony certainly skirts the edges of sarcasm; the two are very close cousins, indeed. Why not try to spice up your writing with a little bit of verbal irony? See if your readers will pick up on the character's true intentions, in spite of their opposing language. It can serve to provide levity to a new situation, poke a little bit of fun, or even subtly foreshadow a very ironic future, such as Mr. Darcy's case. Verbal irony is another feather in your writing cap, so spread your wings and fly to newly formed ironic heights. While you're there, note that there are other forms of irony, too, including situational irony and dramatic irony. Why not explore a little more and see which form you'd like to include in your next short story or poem? "Examples of Verbal Irony." YourDictionary, n.d. Web. 23 April 2019. 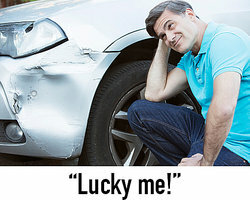 <https://examples.yourdictionary.com/examples-of-verbal-irony.html>. Verbal irony is an excellent tool of the writing trade. It allows readers to exercise a little bit of perception and omniscience. This type of irony occurs when a speaker says one thing but means another. Many people consider verbal irony to be akin to sarcasm. For example, after a hard day at work, we might say the day was, "Really, really spectacular." (Spectacular being in air quotes.) While you might file that under sarcasm, it's actually more of an instance of verbal irony. What’s the difference? Verbal irony occurs when people say one thing but mean another. Sarcasm, however, connotes a little bit of a mean twist or a derogatory statement. In their purest form, that's a good way to distinguish the two whenever you're uncertain. With that out of the way, let's dive a little deeper into these mirrored waters with a wealth of examples of verbal irony.